Our many years of experience in implementing solutions for enterprises of all sizes, both at home and abroad, has given us the know-how necessary to create high-quality customised software. Knowledge of business processes in companies from different industries and with different structures is one of our greatest strengths in this area. As a result, we are able to provide services according to the Software Development Outsourcing model covering the entire cycle of software development, starting from needs analysis at a very early stage. The experience of our analysts and project managers does not only guarantee efficient supervision of the actual process of software development, but mainly delivers added value in the form of consulting, business analysis, process mapping, needs analysis as well as engineering improvements and optimisation. A wide range of products ranging from Open Source software (eg. PHP) and ending with enterprise-class technologies (eg. NET, SAP ABAP) allows us to successfully provide services that are tailored not only to different technological environments, but also to different customer budgets. We offer SaaS applications using our infrastructure as well as on-site implementation. For one of the retail industry leaders in Europe we designed the mobile support quality control system throughout a network of several hundred stores. Every day our tool facilitates the work of dozens of people and ensures the satisfaction of millions of consumers. This solution was based on the LAMP platform as well as a native application for Android. More than 7 years of cooperation with the leader of the energy sector in this part of Europe has yielded many innovative solutions and applications for SAP ERP. The solutions that we designed and implemented support the daily sales processes and logistics of a company with multi-billion zloty revenues. 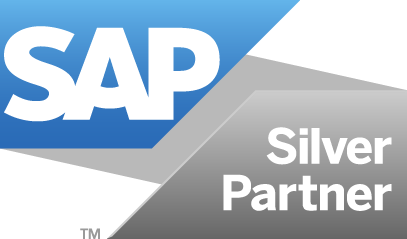 Our ABAP programmers supported the implementation and development of SAP ERP systems in dozens of companies over a period of several years, both at home and abroad. We carry out our SAP projects independently while also cooperating with consultants experienced in relevant areas of the business.